The symbolic meaning of the presidential elections for Russian liberals; The Sobchak and Navalny campaigns are two very different options for the future of Russia’s democratic movement. Alexander Kynev is a Russian political scientist. This article originally appeared on Republic in Russian. On the pages of Vedomosti, I recently analysed the electoral options that democratically-oriented voters have under various electoral systems and various pre-electoral choice of candidates. I would now like to draw attention to the long-term strategic consequences of these options. Let’s admit that what matters is not the maths behind the results presidential elections this March, but the symbolic choice made on election day. Today, democratically oriented voters have two options: to participate in Alexey Navalny’s “electoral strike” (that is, to boycott the elections) or to vote for Ksenia Sobchak, the most active of all the democratic candidates allowed to stand. It might appears that the campaigns of Alexey Navalny and Ksenia Sobchak are about almost the same thing. But they are, in fact, fundamentally different, and will lead to different outcomes. In reality, what may seem like “stylistic differences” can define almost everything. What matters is the hierarchy of issues, the sense of how far you’re willing to go, time and place. In politics, as with any technology (and almost everything in life), what matters is consistency, and breaking it can make the solution of any problem impossible. What is alike on the outside can be actually very different and lead to completely different results in the long run. What is Navalny’s campaign about? While he is undoubtedly a man of democratic views (nobody doubts his devotion to the ideals of civil rights, private property, political competition, European values), Navalny nevertheless tries to talk to Russian society in a language that is understood by the majority, and in a language which this majority is ready to listen to. He translates liberal discourse into a language that is understood by the majority, with the help of self-evident examples. 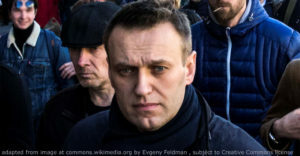 Navalny blends the themes of freedom and justice, and his key theme, the fight against corruption and misuse of public resources, implies clearly both social justice and equality of rights. Are other civil rights – such as the right to privacy, freedom of conscience and so on – important to him? Undoubtedly, but his hierarchy of issues is built for the widest audience. Navalny tries to create a new majority by translating a liberal discourse into a “human language”, and this is precisely why he is a threat to the authorities. Everything at the core of Navalny’s image and political programme are either absent or at the fringes of Ksenia Sobchak’s campaign. Conversely, everything that is implied by Navalny’s programme but unimportant from the point of view of the struggle for mass electorate is central in her campaign. Whether Crimea is “ours” or not, European values, sanctions against Russia, legalisation of soft drugs, LGBT rights, secularisation of society and so on – all these are important issues, but from the point of view of the ordinary voter they are not issues of first, nor second, not even third importance. Because the public image and hierarchy of issues is different in Sobchak’s case, her campaign (which is, on the surface, not that different from Navalny’s) becomes less about creating a new majority, and more about mobilising a pre-existing minority. And this effect is intensified due to the candidate’s high negative ratings. 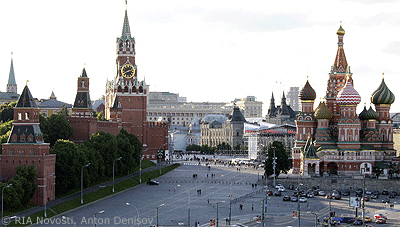 In recent years, the authorities have used myths and phobias prevalent in Russia’s mass conscience to stigmatise the democratic opposition. The regime has been trying to replace one discourse that is close to the views of the majority (and dangerous for the authorities) with a discourse about contested and ambiguous issues which are completely harmless to the authorities. 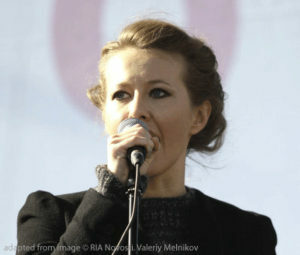 This is how Sobchak’s campaign is convenient for the Russian authorities – democratic ideas are represented in the elections, but without presenting any real threat. What are the possible consequences of Navalny’s strategy of “creating a new majority” and Sobchak’s strategy of “mobilising the ultra-liberal minority”? The “new majority strategy” aims at a real struggle for power, at least at the level of gaining political influence through a significant parliamentary minority. And this is a chance to accelerate society’s evolution through steps that society is ready to understand and approve. Under the “mobilising the minority” strategy, there will be no real influence on the authorities over the very long term, not to mention any chance to take power. This strategy amounts to fighting for the right to live peacefully in an electoral ghetto. It seeks to politically enlighten and slowly school Russian society in liberal discourse, with the hope that society will gradually evolve by itself. This strategy may be more palatable for some, and safer on a personal level (although the question of our own personal safety under it is a separate matter), but there’s risk we might not live long enough to see its results. As a result, in spite of convergence between Navalny and Sobchak on many issues, we are in fact left with extremely different perspectives. For Sobchak supporters, supporting Navalny does not mean supporting “almost like-minded persons”. It means capitulation, reneging on one’s ambitions and the will to fight. And this is exactly how it is going to be exploited. Supporting Sobchak on the basis “they’re both after all almost the same” is a trap. Of course, Navalny is no knight in shining armour. We should not idealise him, and in politics tolerate no idolatry. Navalny is first and foremost a politician, acting rationally, and voters should act accordingly, by choosing what they need here and now. Voters can choose one candidate today and another tomorrow. One can reproach Navalny on several issues, the most important being his apparent individualism. He did nothing to help any of the opposition candidates in the 2014 Moscow city parliament elections, the 2016 parliamentary elections or the 2017 Moscow municipal elections, although the authorities quashed any attempts to participate in the 2015 regional elections. We can search for the reasons behind this lack of assistance (Navalny may consider that the possible costs of future actions by candidates elected with his support outweigh the benefits), but there is no abundance of choice for democratically oriented voters. It is obvious that Navalny’s powerful network of regional volunteers is the one and only active regional network of any of Russia’s democratic leaders. The situation might change in the future, but for now this is what it is. Other politicians will appear, as they must, and then the conversation will be different But, today, if you support one of these two options, you will support a tendency that will further dominate the democratic movement. There is not “against all” option in these elections. It is an illusion: you either support a politician or you don’t. But with him or her comes its strategy. Your influence on the authorities’ result will be almost insignificant, but you certainly can influence the destiny of the democratic movement. This article is published under a Creative Commons Attribution-NonCommercial 4.0 licence. If you have any queries about republishing please contact us. Please check individual images for licensing details.